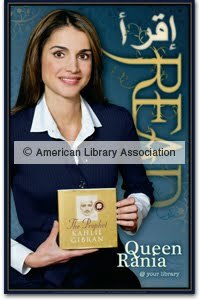 "In Jordan, Queen Rania spearheads several initiatives for children and teachers to improve national education. With author Kelly DiPucchio and illustrator Tricia Tusa, Queen Rania has penned a picture book, “The Sandwich Swap,” inspired by her own experience with cultural differences." "Stateside, Academy Award nominee Taraji P. Henson has amazed audiences with her performances in films like “The Curious Case of Benjamin Button” with Brad Pitt, “Talk to Me,” Tyler Perry's “The Family That Preys,” and “I Can Do Bad All by Myself.” Before landing in Hollywood, she earned a Theatre Arts degree from Howard University while working two jobs—as a secretary at the Pentagon and as a singing and dancing waitress on a local dinner cruise ship. She co-stars in the upcoming “Date Night” with Tina Fey in April and “The Karate Kid” in June." 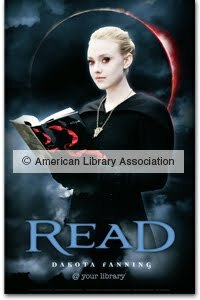 "In the vampire world of Eclipse, Dakota Fanning plays Jane, an elite member of the Italian Volturi. The film adaptation of Stephenie Meyer’s third installment of the “Twilight” series comes to theaters this June, revealing Bella’s struggle to reconcile her love for vampire Edward Cullen and werewolf Jacob Black while she also contends with Jane and the Volturi."